Business Insider VideoVisa policy varies from country to country. There are a few different ways visas are offered. 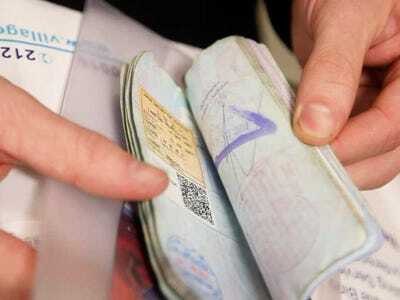 Some countries offer Americans a visa on arrival, meaning you won’t have to apply for a visa in advance; you’ll simply get yours at customs after you land. Other countries require Americans to get a visa – in their passports or electronically – before arrival. And there are several countries that are visa-free for Americans, meaning your passport is enough to get you through the airport. Consult the graphic below to see what the visa policy is for each country. 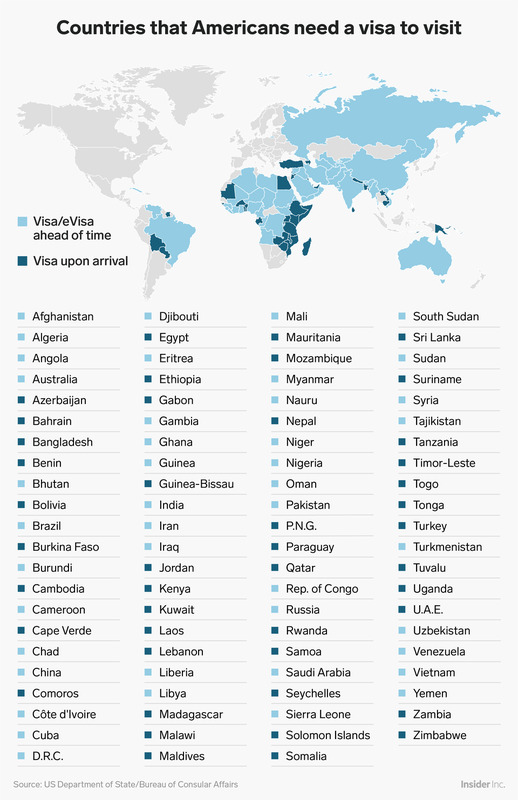 Countries that are coloured grey don’t require Americans to have a visa, while the dark blue countries offer visas on arrival and the light blue countries require visas in advance. If your destination requires a visa in advance, make sure you visit the US State Department website to find the specific requirements and start the application process, which varies by country.